Mangaluru, Dec 04, 2017: In a city that reports two cybercrimes a day, the cybercrime cell police station under the city police commissionerate doesn’t have an internet connection yet. So how do police personnel log into work? By turning their mobiles into internet hotspots. The cybercrime cell, which opened a year ago, does not have internet from day one. The process is taking a long time. Since we worship work, we turn to our mobiles to probe cases," a police officer said. "It’s shocking to learn the only cybercrime police station in the district handles the most online fraud cases after Bengaluru. How can one expect speedy probe," said a social activist. City police commissioner TR Suresh told STOI intranet is available at all stations, through which police personnel can access files. "Internet is not required in our investigations. 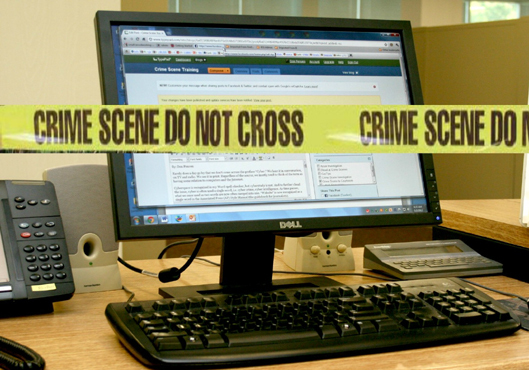 All police computers are wired with intranet. However, we have plans to provide internet connection too." A police officer said intranet is not enough to probe cybercrimes and added they do need internet to mine data related to cases online.